From time to time we like to give a mention to a project where we feel that our customer has used our music in a cool way, or in a nice project. One such project is the new iPhone and iPod Touch game, “Hanzi Warrior“, up for release on 11/11/11, including our royalty-free Chinese music track “Zhongdu”. 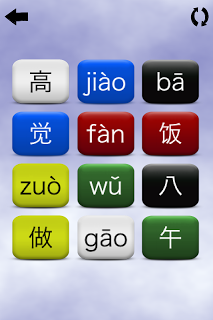 Hanzi Warrior is a neat game in which you can learn Chinese and save the earth! Gong Gong has created a hole in the sky. Yellow Dragon holds the key to repair the sky. There are over 28 worlds across five realms. Unite the winds to summon Yellow Dragon. Learn Chinese, Save the Earth, and have a great time doing it. An entertaining and educational game for iPhone and iPad. We thank the developers, Difint, for using our music in this cool game, and we’d like to suggest you check out the game trailer video at YouTube.